The 2012 season did not end well for Liu Xiang 刘翔. Although he had his string of memorable performances in the run-up to the Olympic Games, the year belonged to none other than Aries Merritt. As an avid athletics aficionado the past few decade, the American has been a familiar name ever since he competed with distinction in the tough U.S. collegiate circuit. Of course, I felt bummed when Merritt dominated Liu in the World Indoors. At the same time, I was happy for the American. He has been part of the hurdling scene for the longest time. Seeing someone win his/her first ever major championship triump is a joy to behold – even at the expense of my boyhood hero. But lo and behold, the best was yet to come for Merritt. As the season kicked into high gear, so did Merritt’s hurdling. I was particularly impressed with his string of consecutive low 12.90s clockings, which, incidentally, started a few races after the battle royale in Eugene (where Liu smoked ’em all!). No one has ever run so consistently in the sprint hurdles. Judging by the depth of the protagonists, the 110m hurdles Olympic final had the makings of a classic. Even without the injured Liu and the hobbling Dayron Robles, the Olympic final was still one for the books as Merritt stamped his dominance on an overmatched field. Merritt made winning the Olympic gold so deceptively simple. He stopped the clock at 12.92s, matching the great Allen Johnson’s time at the Atlanta Olympics and a mere one-hundredth of a second from Liu’s Olympic record. In the countless articles and interviews I’ve read with Merritt, the primary drivers for his 2012 success would have to be his being injury free and the shift to a seven-step start. Although I personally think that Merritt’s lead arm carriage is too high, especially when compared to the likes of Liu and Colin Jackson, the American’s blistering speed in between the barriers is his strongest point. 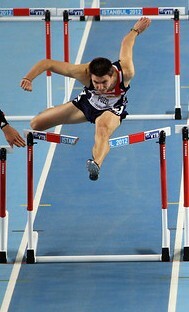 An efficient technique over the barriers, coupled with lightning quick steps in between the hurdles, is the recipe for blistering hurdling times. True enough, Aries Merritt did not disappoint! Murielle Ahouré is this week’s Track Beauty! The Ivorian sprinter has improved gradually the past few years. From an 11.42s best in the 100m dash in 2006, Ahouré came close to the 11-seconds in 2009, as she clocked 11.09s in Greensboro. She had forgettable campaigns in the next two years, but the 2012 season has been a revelation for the fast starting African sprinter. Amongst the major international athletics championships, the World Indoors is the most underrated. Big name stars like Usain Bolt usually opt out of the biennial meet, especially in crucial Olympic years. Indoor athletics has a far smaller reach than its outdoor counterpart, with the smaller venues usually found in the frigid countries of the northern hemisphere. Nevertheless, it has that obscure charm. When I first saw the start lists of some events, I thought that the rest of the non-European, non-American world was underrepresented. I thought wrong. As soon as the 60m dash heats came out, a cacophony of athletes from small countries – from Mongolia in the Gobi desert to Fiji in the Pacific – competed amongst their more illustrious counterparts. Even if I had to rely on live streaming links and my less-than-perfect internet connection to watch the World Indoors, I must say that I had a grand time. Despite the absence of most of the track & field titans, the festivities were certainly not devoid of memorable athletics moments. The three-day event has seen former World Indoor champions like Elena Isinbayeva Елена Гаджиевна Исинбаева, Justin Gatlin, and Valerie Adams re-emerge on the big stage, whilst playing host to bevy of promising talent. The women high jumpers deserve special mention too, as the troika of Antonietta Di Martino, Anna Chicherova Анна Владимировна Чичерова, and Ebba Jungmark shared a the second spot on the podium, behind the champion, the come-backing Chaunté Lowe (1.98m). The three athletes had equally identical sheets, with each clearing 1.95m. The United States topped the overall standings with a staggering 18 medals, 10 of which were gold. Great Britain had 9, while African distance powerhouses Ethiopia and Kenya won 5 and 4, respectively. 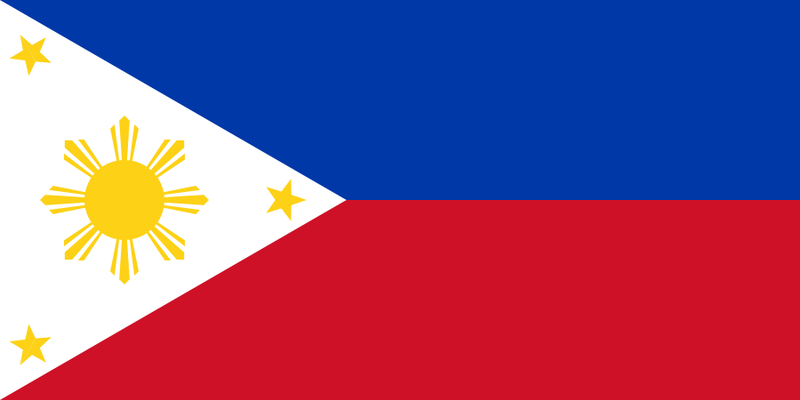 I missed most of Day 1 of the World Indoor Championships in Daegu because of the Philippines – North Korea AFC match. While browsing through the tweets of Athletics Weekly for updates, I saw a reference to someone named “Gaylord Silly” ranking higher than Jessica Ennis in Twitter trends. At first, I thought it was some British fad I was unaware of. Then I read more tweets about the unlikely name. It turns out that Gaylord Silly competed in the 800m run heats in Istanbul, setting a national record of 1:54.90 for Seychelles. A cursory Google search unearthed more information. The French-born Silly works as a tree surgeon. 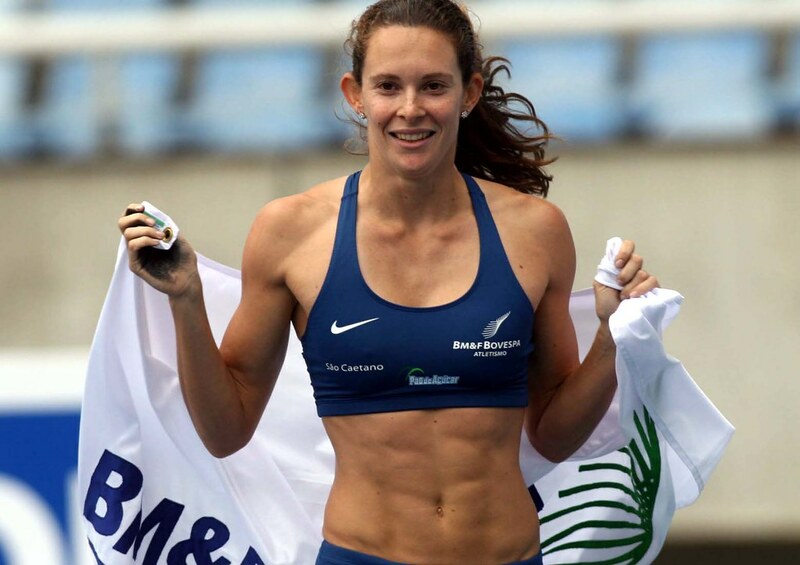 The 26-year old is a veteran of several international events – three editions of the IAAF World Cross Country Championships and the 2009 World Half Marathon Championships. And Silly also competes in the steeplechase! He’s also a hurdler – in a sense. Thanks to his unorthodox name, Silly has become a bit of cult phenomenon amongst athletics circles! Alina Talai Алина Талай is this week’s track beauty! 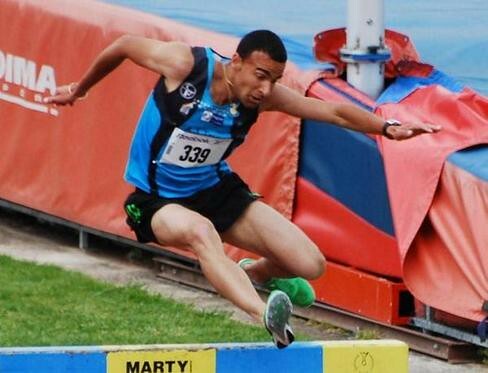 The Belorussian sprint hurdler is an upcoming talent in the event. Still only twenty-one years old, Talai had racked up her experience level in high quality meets. She has a personal best of 12.87s from 2010, ranking her among the elite of the 100m hurdles. Talai’s best finish in a major international competition was semifinals appearance at the 2010 World Indoor Championships in Doha. She has been more successful in the European senior competition, having barged into the final of the 60m hurdles at the Paris European Indoor Championships. The Belorussian missed out on a podium finish at the 2008 World Junior Championships, but redeemed herself by landing a bronze at the European U-23 Championships against older opponents a year later. Talai edged out the more fancied Swiss, Lisa Urech (who had set a PB of 12.62s, sixth fastest time in 2011), for the European U-23 hurdles crown. En route to her continental title, the Belorussian stopped the clock in season’s best of 12.91s, against Urech’s 13.00s. Talai has shown marked consistency in the 2011 season. It is important to note that despite the worst of conditions, the Belorussian had managed to keep her form together, as evidenced by her sterling performance at the European Team Championships where she placed a fighting second. This is certainly impressive, in light of her unexpected exit at the Barcelona European Championships after clipping a hurdle. The hard-working Belarussian hurdler finally barged into the top 3 of a major international event. She clocked a season’s best of 7.97s to win bronze at the Istanbul World Indoor Championships, behind the prolific Sally Pearson (7.73s) and Britain’s Tiffany Porter (7.94s). After the race, it turned out that Talai was clueless on her ranking in the final. Asking the mixed zone interviewer regarding her placing, Talai was pleasantly shocked to learn that she won bronze! It is a touchingly authentic scene rarely caught on tape! Ebba Jungmark is this week’s track beauty! Jungmark is next in line to the long list of excellent Swedish high jumpers. The twenty-four year old won her first major international medal at the European Indoor Championships in Paris early this year. The young Swede set a new indoor personal best of 1.96m en route to her podium finish. Jungmark performed superbly despite the absence of her more illustrious compatriot Emma Green-Tregaro. The Onsala-born athlete has won numerous Swedish titles as youth and junior athlete. Jungmark went to the United States for her college education. She made her mark across the pond, winning the 2008 NCAA Division I Indoor high jump title, a year after competing at the 2007 Osaka World Championships. At the Istanbul World Indoor Championships, Jungmark – together win Russia’s Anna Chicherova and Italy’s Antonietta Di Martino – all shared a spot on the coveted podium. All three athletes had equally identical scorecards, with each clearing a best height of 1.95m and having three failures at 1.98m. The comebacking Chaunté Lowe won the event with a 1.98m clearance. Now that was a win-win situation! Denisa Ščerbová-Rosolová is this week’s track beauty! The Czech athlete originally started out as a heptathlete, but shifted focus to the long jump. The then 16-year Rosolová leaped 6.40m to win silver at the World U-17 Championships. A year later, she was crowned as the World junior champion, notching a 6.61m jump in the final. The skilled Rosolová went back to the multi-events in 2008 (her best mark in the heptathlon is 6,104 points). According to an EAA article, injuries sustained from the grueling discipline saw Rosolová shift to the 400m. Rosolová had won numerous Czech national titles in the long jump and heptathlon. Despite winning the European indoor long jump silver in Birmingham back in 2007, triumph seemed to elude Rosolová in both the jumps and the multi-events. In 2010, Rosolová made the big shift to the quarter-mile. Success was immediate for the versatile athlete. At the European Championships in Barcelona, the Czech went tantalizingly close to 50 seconds in the 400m, finishing 5th (50.90s) in the highly competitive final. At the European Indoor Athletics Championships in Paris, Rosolová nipped the fancied Russian duo of Olesya Krasnomovets Олеся Александровна Форшева and Kseniya Zadorina Ксения Ивановна Задорина in the last 60m, winning her first major senior title. The 24-year old ran an indoor personal best of 51.73s en route to the gold, bettering her 2011 season’s best by a massive five hundredths of a second. Denisa, however, wasn’t as successful outdoors in 2011. Despite notching a new personal best in the 400m dash in Ostrava (50.84s), the Czech could only muster a semi-finals finish in the Daegu World Championships, exiting the competition in 52.53s. 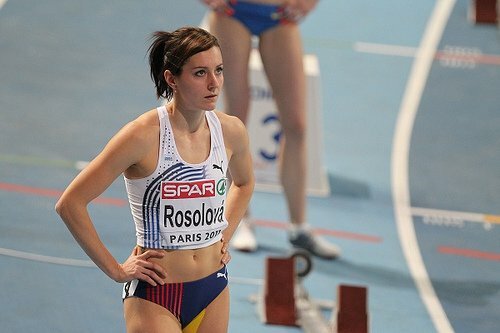 At the 2012 World Indoor Championships in Istanbul, Rosolova qualified for the finals (her first in the worlds as a quarter miler) and finished in sixth place. Fabiana Murer is this week’s track beauty! 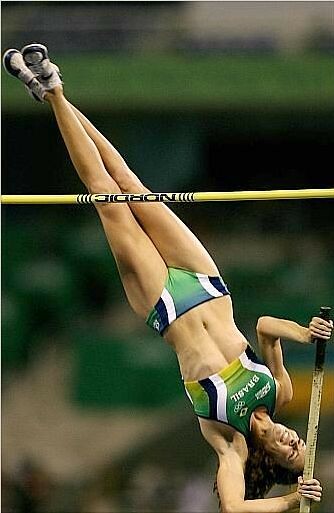 The Brazilian pole vaulter’s first major championship medal came at the 2008 World Indoor Championships in Valencia, Spain. The gymnast-turned-pole vaulter cleared 4.70m to grab the bronze medal. Despite leaps of 4.80m and 4.82m in 2008 and 2009, respectively, Murer failed to reprise her stellar form at the Beijing Olympics and Berlin World Championships, finishing 10th and 5th, respectively. The South American record-holder’s breakout meet came at the 2010 World Indoor Championships, where an exhausted Yelena Isinbayeva (Murer’s occasional training partner) failed to make the podium. Murer outclassed the more experienced Svetlana Feofanova and an in-form Anna Rogowska, clearing 4.80m. With personal bests of 4.85m outdoors and 4.82m indoors, Murer is definitely at the forefront of the pole vault elite. How the 29-year old Brazilian fares against a (hopefully) rejuvenated Isinbayeva come 2011 remains to be seen. Darya Klishina Дарья Клишина is this week’s track beauty! The 19-year old Russian junior long jump record holder is a rising star in one of track’s most exciting events. Klishina set a new Russian U20 record of 7.03m (the 2nd best senior jump in the world this year, behind compatriot Olga Kucherenko’s 7.13m) at the 52nd Brothers Znamensky Memorial meet in Zhukovskiy, Russia three weeks ago. Klishina, the reigning European Junior Champion, placed 5th at the World Indoor Championships in Doha. Among the all-time junior list, Klishina’s record-breaking leap is behind only the great German long jumper, Heike Dreschler. The stately Russian was a former European junior champion (2009) and World youth champion (2007). In light of her stellar performance at such a young age, expect Klishina to be a mainstay in major championships of the future. Klishina is as comfortable in front of the fashion cameras as she is on the track. With her good looks and status as one of the best long jumpers in the world, Klishina is on the fast track to widespread popularity. 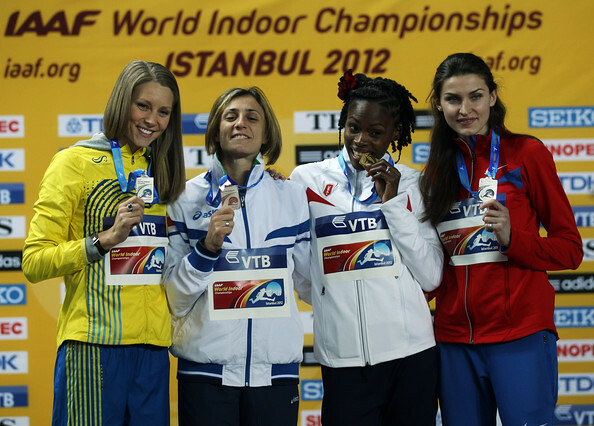 In 2011, Darya won her first senior continental title at the European Indoor Championships in Paris. Nursing an ankle injury (which required surgery after the season), Klishina limped into 7th place at the Daegu World Championships. Her best leap was a mere 6.50m – a far cry from her personal best of 7.05m (2011). With the London Olympics months away, a healthy Darya Klishina is within range to wrest the coveted gold medal from her rivals.